Fung Chih -Chiang is not a name that many will be familiar with if you only watch the occasional Hong Kong movie. But if I was to mention films like ''Shaolin Soccer'' ,Legendary Assassin'' or Johnnie To's ''Sparrow'' then maybe you might sit up . For Fung Chih Chiang is for-most a writer of screenplays and because of this he has had his hand in many great movies. For me the story of Shaolin Soccer has always been a far better one then that of Kung Fu Hustle for the prime reason of it's ability to show compassion,sadness as well as zany comedy and action ,something Kung Fu Hustle (KFH) over did to a crazy level. Not to say I thought KFH was not good I just feel that Shaolin Soccer has the edge in offering a more full filling experience on screen . Now for his first feature length direction Fung Chih Chiang has come up with a screenplay about a Bounty Hunter who is kind of low rent and basically take on any job from a missing dog to tracking down the latest man on the Police most wanted list. 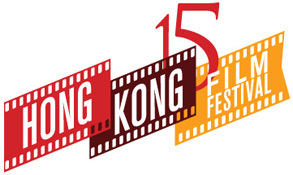 Now The Bounty is a recent film and had it's UK premier at the HK15 Film festival in London on the 12th of July . Also to introduce the film was the Director himself and the assistant Director. In the starring role for the film we have Hong Kong comedian Chapman To who's film credentials spread far from films such as Infernal Affairs and Looking for Mr Perfect . Chapman To plays the Bounty Hunter Cho ,he on a mission to find one Lee Kin -Fai ,a fugitive on the run and wanted for the assault and attempted murder of a young bride who he left bind. Clue's lead Cho the the Lazy Inn Hotel where the Proprietor played by Alex Man seems suspicious of him at first ,the hotels cleaner ''Linda '' who is a part time astrologer for a local news website is also wary of this new guest . Having had a few suicides in the hotel ,as it seems to be the place to carry out such a thing , with installed cameras in the rooms Linda and her boss look to see if Cho's about to top himself ,when they think he's about to get out of paying the bill by topping himself they pounce in on him when they suspect he's about to start a fire. Pretending to be a policeman under cover out to catch the criminal Lee Kin-Fai he convinces Linda and her boss to let him get on with his investigation around the area. Now the film at first seems a bit slow I must admit even though there where some funny moments at the beginning to draw you in. there's quite a few characters to come to grips with to, you have Coconut man who is a vagrant type that’s a friend of Linda's ,he lives in a shack alone from the world ,which may seem suspicious to some. Coconut man often gets bullied by the local ''Biting Sugar Cane Gang'' who take protection money from the locals. Then we have a cameo by Comic Genius Michael Hui who plays Cho's Bounty Hunter nemesis and Mentor. But I thought Michael Hui's time could have been better used to implement some of his comic genius. There are also a couple of sub plots with the loss of the Hotel Proprietors Daughter who went missing ten years before ,he tries to convince Cho to look for her and he will reward him. There's also a old friend of Cho's who staying at the hotel ,played by Max Zhang (WUSHU) . Max plays a character that is out to make money whatever the cost and Cho's investigation in the area will uncover a smuggling ring headed by his friend. What's more when Cho gets wind of Lee Kin-Fai a chase ensues which brings him into confrontation with the Biting Sugar Cane Gang. So all in all there’s a lot going on in The Bounty. So does it deliver on the entertainment side, the good thing is yes it does, I quite liked the look of the film with it's Old Western style ,which is evident in the décor of the Lazy Inn and the way the characters are dressed. Even Cho's suitcase is something you would see in a Old Western and with it's many secrets and contraptions reminded me of the third Back to the Future film and Wild Wild West with Will Smith ,but in a more low key mellow way. It was great to see Alex Man on screen again ,i must admit I did not recognise him at first (he's put on a bit of Weight) ,star of classic films like Rich and Famous, Tragic Hero ,Crocodile Hunter and God Fathers Daughter Mafia Blues. Alex had stopped making films in 2000 but came back in 2010 with appearances in The Jade and the Pearl and Bruce Lee My Brother. Now for those of you wanting to know about the action ,well Chapman To is not associated with action hero roles, he's starred in many action films as the comic relief but in this he is the hero of the piece. Little do you know is Chapman To does actually do some martial arts as the director found out when he called him up to see if he would do the role. So the good thing is and it's slightly strange to see this comedic hero bust some moves which won't let you down ,his fight with Max Zhang is a joy to watch and his confrontation with the Biting Sugar Cane Gang is a funny and entertaining. Fiona Sit is is comical as the Lazy Inn's cleaner and is a good foil for Chapman To's character ,so good I have recently ordered another 2012 film which they both star in called ''Mr and Mrs Gambler'' ,so look out for a review of that soon to. I thought Fung Chih Chiang did a good job with his first directing duty ,the fact that the idea for the film and it's green light was as far back as 2008 and the fact that it was shot on a budget of HK$10'000'000 ( £800'000) is quite amazing. It's films like these that we need from Hong Kong and the directors and writers of the current Hong Kong scene are going out on a limb and offering something new ,look at Clement Cheng's Gallants for proof of that. mixing the Old with the New is maybe a trend of late but as we have not been bombarded with entries like this it all seems fresh still. 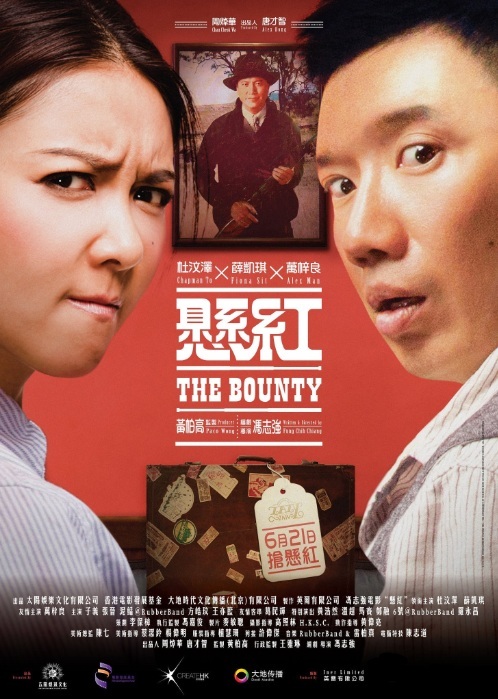 I don't think The Bounty is as tight a story as Shaolin Soccer ,but then Fung Chih Chiang co-wrote that with Stephen Chow and Chan Keung Tsang. So I believe Shaolin Soccer has the edge ,but then again Fung Chih Chiang was not involved with Kung Fu Hustle and it's here where The Bounty succeeds ,it has that Drama and Compassion that KFH was missing. Many films could only dream of having the vision of The Bounty . 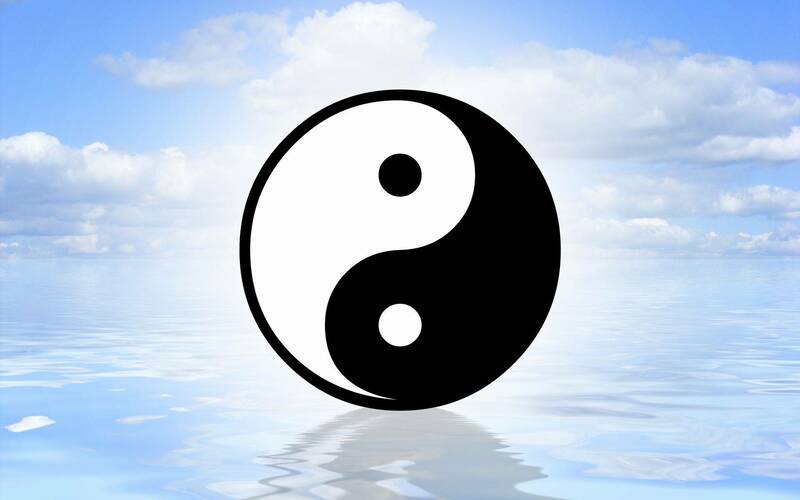 Maybe it's just myself but the screenplays where Fung Chih Chiang has either wrote or co-wrote have that missing element that many screenplays are missing ,thinking about the various films I have watched over the years that Fung Chih Chiang has written for, it shocks me to think how inspirational those films where whether they be action,drama or comedy. 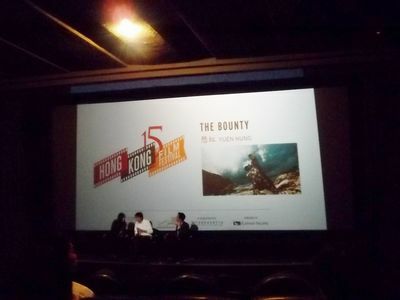 For me The Bounty was my favourite of the screenings I attended at HK15 . Godfathers Daughter Mafia Blues - 1991- Alex Man,Yukari Oshima - classic action. Bruce Lee My Brother - 2010 - Bio pic of the early years of Bruce Lee's life.